Limited number of March event passports remain for sale. 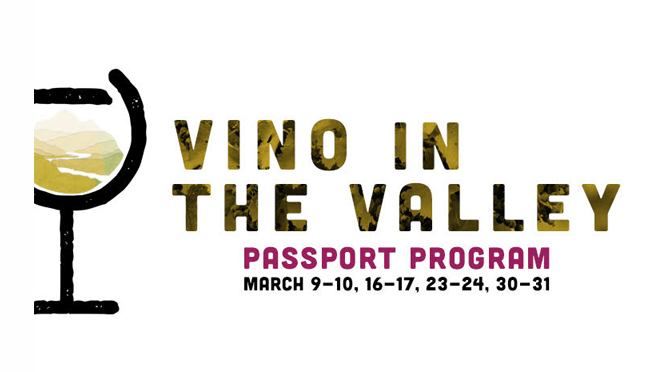 LEHIGH VALLEY, PA – January 28, 2019 – Discovering ways that food and local wine pair best together is at the heart of the Vino in the Valley Passport Program along the Lehigh Valley Wine Trail on weekends in March. Each winery will be giving away 20 $50 local restaurant gift certificates at random over the four weekends of the event. There will be 160 instant winners, and one in 11 passport holders will win a gift certificate. Also, passports stamped by all 8 wineries and turned in at the conclusion of the event will be entered for a chance to win the Grand Prize Drawing of a gift certificate for $250 Wine Trail Bucks to be spent on local wine. During the four event weekends in March (Saturdays and Sundays), participants visit the member wineries to enjoy a tasting-sized food and wine pairing and have their passport stamped in the corresponding winery box. Passport holders also receive a complimentary wine tasting at each winery. Once stamps are obtained from all wineries, they fill out their contact information on the bottom front side of the passport, before tearing it off and turning it in at the last winery they visit in order to be entered into the Grand Prize Drawing. Passports are now on sale for $35 each at all eight member wineries (cash or check only), as well as online via EventBrite.com (credit card only). Only 1,800 passports are printed, and more than half are already sold, so wine lovers are encouraged to purchase them early since they may sell out in advance of the event. Visit the wine trail’s web site to review group guidelines, tips for traveling the trail, passport program rules, and other event details: lehighvalleywinetrail.com Each winery sets its own house rules, policies and procedures. (Note: the first weekend of March is NOT an event weekend.) Event hours are Saturdays from 11 am – 5 p.m., and Sundays from noon – 5 p.m. The Lehigh Valley Wine Trail is a non-profit organization of wineries whose mission is to promote agri-tourism and to create a premiere wine destination and grape growing region while promoting Pennsylvania wines from the region. For more information, visit www.LehighValleyWineTrail.com. Black River Farms – Local caterer feast will serve up Chicken Tikka Masala paired with the winery’s red blend, 90. Clover Hill Vineyards – For the fourth consecutive year Clover Hill will partner with K’Town Pub Taphouse & BBQ, located on Main Street in Kutztown and will be serving BBQ Parfaits. March 9, 10, 16 & 17 – start with a welcome sangria, followed by Vignoles paired with a smoked meatloaf parfait which includes mashed potatoes, creamed corn with an apple butter BBQ sauce. Complete your tasting with a piece of our Vidal Blanc wine cake for dessert. March 23, 24, 30 & 31 – start with a welcome sangria, followed by Pinot Noir paired with a smoked brisket parfait which includes mashed sweet potatoes and chimichurri BBQ sauce with pickled red onions. Complete your visit with a piece of our Catawba wine cake for dessert. Galen Glen – is partnering with Kowalonek’s Kielbasy Shop of Shenandoah. Like Galen Glen, Kowalonek’s is a multi-generational family business. Kowalonek’s is renowned for crafting the finest authentic old-world style kielbasy. Galen Glen’s internationally reviewed Riesling with be paired with Kowalonek’s handmade kielbasy swirled into creamy macaroni & cheese. Tolino Vineyards – is proud to partner with the Little Corner Café in downtown Bangor to pair their delicious soups with our wines. Warm and tasty Mediterranean Chicken soup and Potato Corn Chowder with toasty homemade crostinis paired with Lilly and our newest Rose, Nine. Banana and cream rolled in a tortilla shell, fried and sprinkled with cinnamon and sugar. Topped with whipped cream and caramel sauce. Paired with Vynecrest’s Spiced Winter White wine. Three crisp rolled corn tortillas stuffed with chicken and topped with queso dip, paired with Vynecrest’s Traminette wine.